From the 1960s to 1970s, North China has been hit by a series of large earthquakes. During the past half century, geophysicists have carried out numerous surveys of the crustal and upper mantle structure, and associated studies in North China. They have made significant progress on several key issues in the geosciences, such as the crustal and upper mantle structure and the seismogenic environment of strong earthquakes. Deep seismic profiling results indicate a complex tectonic setting in the strong earthquake areas of North China, where a listric normal fault and a low-angle detachment in the upper crust coexist with a high-angle deep fault passing through the lower crust to the Moho beneath the hypocenter. Seismic tomography images reveal that most of the large earthquakes occurred in the transition between the high- and low-velocity zones, and the Tangshan earthquake area is characterized by a low-velocity anomaly in the middle-lower crust. 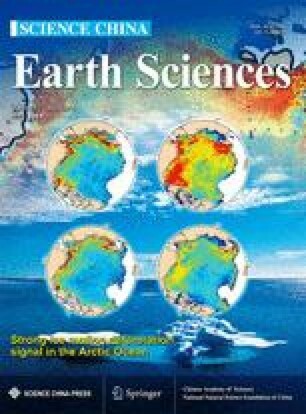 Comprehensive analysis of geophysical data identified that the deep seismogenic environment in the North China extensional tectonic region is generally characterized by a low-velocity anomalous belt beneath the hypocenter, inconsistency of the deep and shallow structures in the crust, a steep crustalal-scale fault, relative lower velocities in the uppermost mantle, and local Moho uplift, etc. This indicates that the lithospheric structure of North China has strong heterogeneities. Geologically, the North China region had been a stable craton named the North China Craton or in brief the NCC, containing crustal rocks as old as ~3.8 Ga. The present-day strong seismic activity and the lower velocity of the lower crust in the NCC are much different from typical stable cratons around the world. These findings provide significant evidence for the destruction of the NCC. Although deep seismic profiling and seismic tomography have greatly enhanced knowledge about the deep-seated structure and seismogenic environment, some fundamental issues still remain and require further work. The authors thank Professors Liu Guodong, Zhang Xiankang and Liu Qiyuan for their sincere cooperation in the exploration and research of the Earth’s deep-seated structure in the Chinese mainland. We also thank Ding Zhifeng, Wu Jianping, Wang Fuyun, Liu Baojin, Li Yonghua, and Chang Lijun for the profitable discussions, and thank the editor in chief and three anonymous reviewers for their valuable comments. This study was supported by the National Natural Science Foundation of China (Grant Nos. 91014006, 90914005 & 41474073).